Well it’s been a couple of weeks since we announced our beautiful Malinois, Wisdom, is expecting puppies around December 16, and what a busy couple of weeks it has been! Wiz is definitely getting quite big! She is still super keen to work, being pregnant has definitely not slowed her down at all. 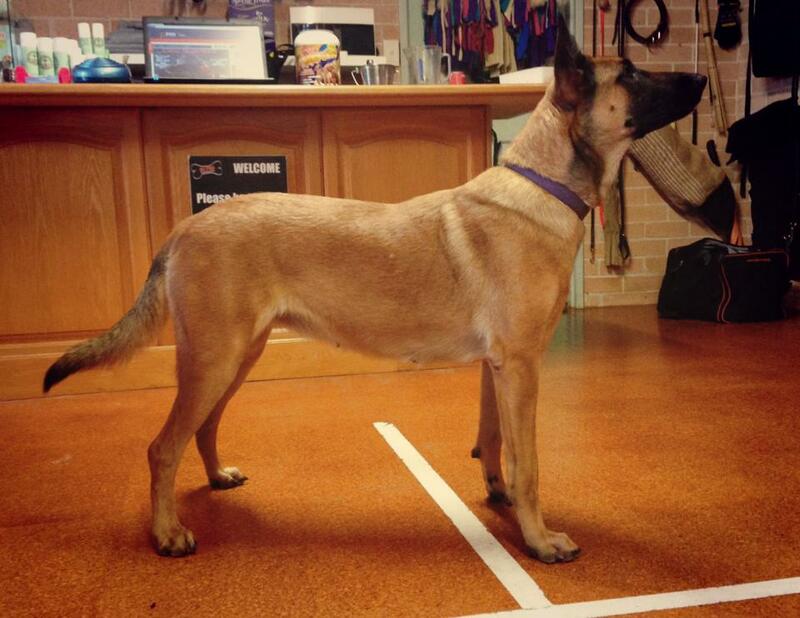 Wiz normally has our supplement, Super Fuel, each day but prior to mating her Steve switched her to Puppy Gold. Puppy Gold is a super all natural supplement made by the team at Animal Naturals and it is brilliant for expecting mums, as it helps develop puppies inside the mother during pregnancy, sparing mum’s muscle and bone mass and ensures that mums are getting all the nutrients they need. To ensure Wiz has some extra fat and protein in her diet, Steve designed this Puppy Gold ‘milkshake’ she has every morning. 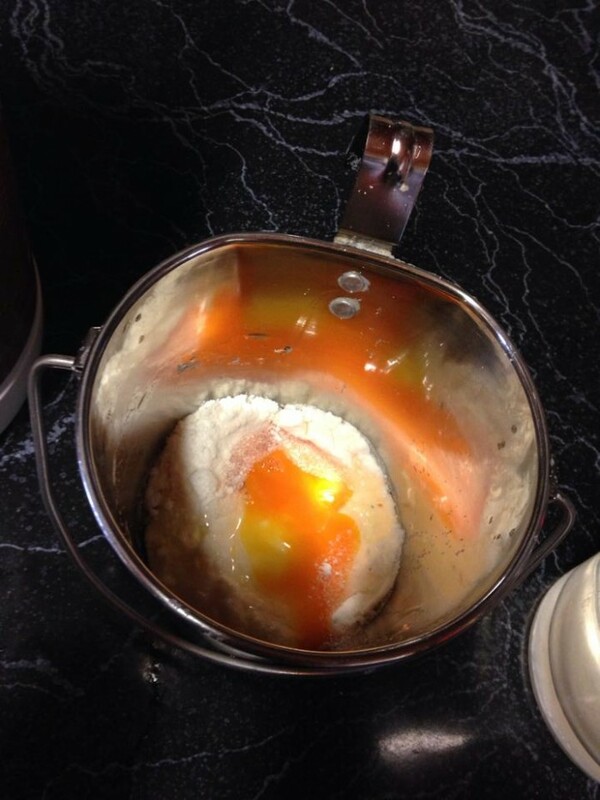 This consists of two raw eggs, a scoop of Puppy Gold and about a litre of water. Yum yum! The ingredients for our Puppy Milkshake! It is a super simple way to make sure we are giving Wiz and the puppies everything they need to develop and grow, and it makes sure Wiz keeps good weight and condition during her pregnancy. 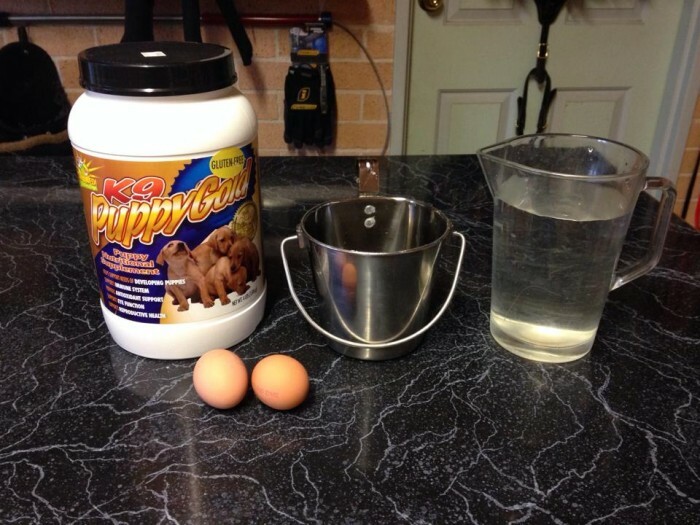 To make it, we add one scoop of Puppy Gold and two raw eggs to Wisdom’s Crate Bucket. Mixing up our Puppy Milkshake! 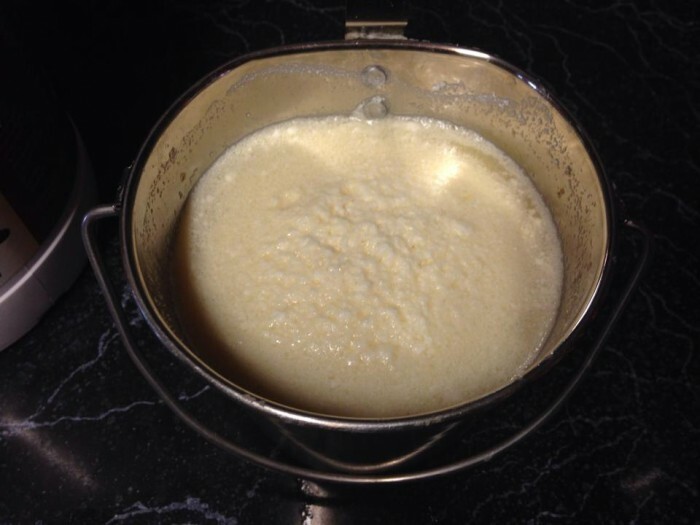 And then we mix it together with about 1L of water. Yum yum! 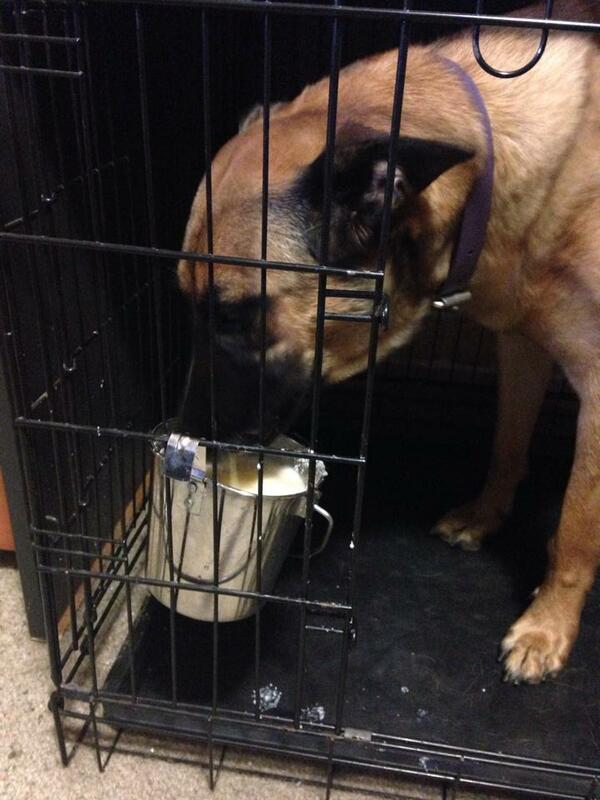 The end result is one happy Malinois who loves her special Puppy Milkshake! Wiz chowing down on her milkshake! As I type this we are also in the process of having our new whelping room built. Steve has specially designed a large whelping room for Wisdom’s litter and we will be sure to share pictures once building is complete. The next two weeks are sure to be super busy ones at K9 Pro HQ! Next PUPDate – the countdown is on! And extremely refreshing to see so much care put into the puppies and mum before they’re born. I bet wisdom will feel very safe, loved and secure when the lil maligators are here!